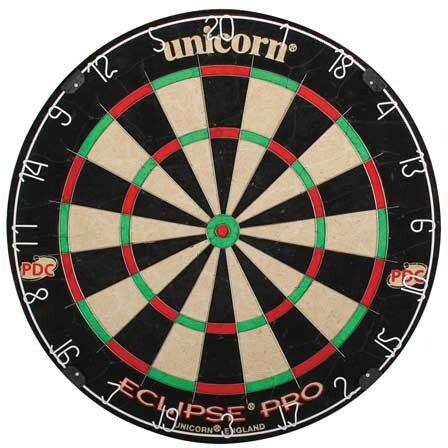 The Unicorn Eclipse Pro is a championship quality bristle dartboard with high quality round wire construction. The completely staple-free system helps reduce bounce-outs and adds extra visibility of the dartboard. The ultra-slim segmented system makes this board stand out from the rest and is endorsed by the Professional Darts Corporation.